-- Follows two interwoven journeys separated by four centuries. Dominic, a ruthless New World conquistador, is the proud captain of a gold-filled galleon sailing home to Spain. 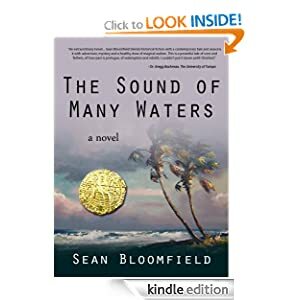 But when a hurricane sinks his ship off the coast of La Florida and the native Timucuans take him captive, Dominic must fight to survive in an unfamiliar world. In the present day, Capt. Zane Fisher -- a recovering addict -- cannot seem to escape the shadow of his tragic past. When a peculiar client charters his boat for what seems like a routine fishing trip off the coast of Palm Beach, they find a mysterious floating package and Zane is forced to flee into Florida's dark underbelly. Despite the four centuries that divide them, Dominic and Zane each discover the same extraordinary secret--one kept hidden in the wilds of Florida for eons -- and their stories converge in an incredible way.